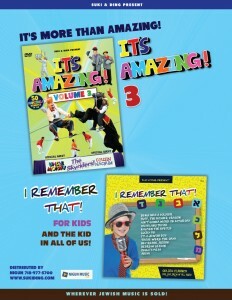 IT’S MORE THAN AMAZING! 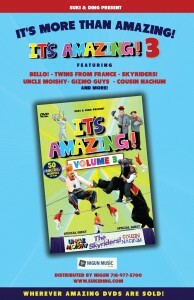 It’s Amazing 3! Featuring BELLO! – TWINS FROM FRANCE – SKYRIDERS! 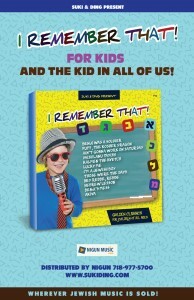 UNCLE MOISHY- GIZMO GUYS – COUSIN NACHUM AND MORE! Also available now, I Remember That! 12 Golden Classics! For the Kids, and the kid in all of us!